Dominated by the poignant ANZAC Square War Memorial, Anzac Square is one of Brisbane’s most important military monuments and it’s a scenic spot, with its grand memorial fronted by landscaped parklands and tree-lined walkways. Opened to the public on Armistice Day in 1930, the memorial serves as a worthy tribute to Australia's military heritage, devoted to the memory of the Australian and New Zealand troops that lost their lives in WWII. Today, the square serves as the backdrop to Brisbane’s annual ANZAC day and Remembrance Day services, when wreathes and candles are traditionally placed around the memorial. The dramatic focal point of the memorial is the Shrine of Remembrance, a Greek-style pavilion housing the ‘Eternal Flame’ and reached by a flight of steps at the north end of the park. Beneath the shrine, a pedestrian tunnel features interactive touch screens, honor rolls and unit plaques, alongside a mosaic of soils taking from World War II cemeteries around the world. 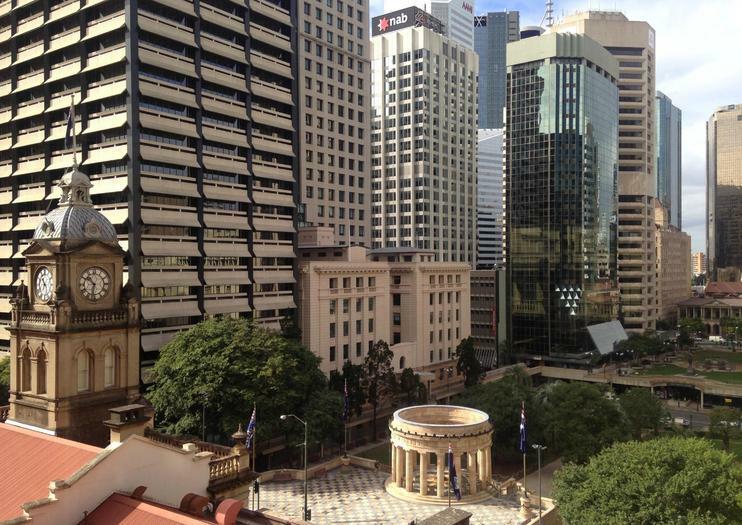 Anzac Square is located between Ann Street and Adelaide Street in north Brisbane.